Here is an album of animals wearing clothes that I have been adding to for some time. Be forewarned, though. You will see many an uncomfortable trouser or petticoat. Most of the animals are happily donning their costumes, so It is obvious that these are all fictional drawings. No creatures were harmed in the making of this post. Felicity is sporting the timeless peasant flare skirt, thick ribbon, puffed sleeves, and a fabric cap. She is wearing classic ballet flats and carries a small bouquet of flowers. Snowball, here, is modeling a simple waistcoat and tie combo. He carries an antique pocket watch in the waist coat pocket. 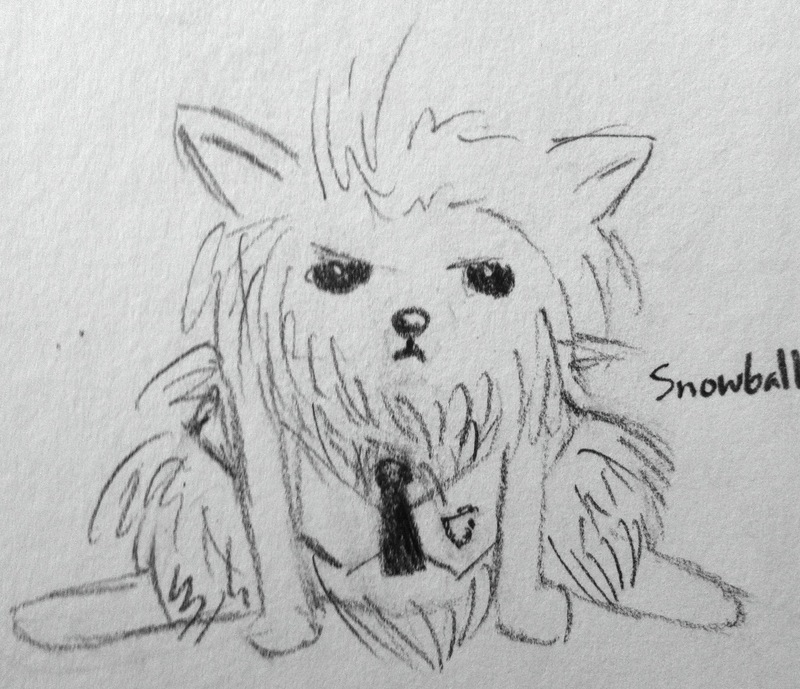 It was difficult enough to get snowball into the waistcoat, so we decided to skip the jacket and slacks. 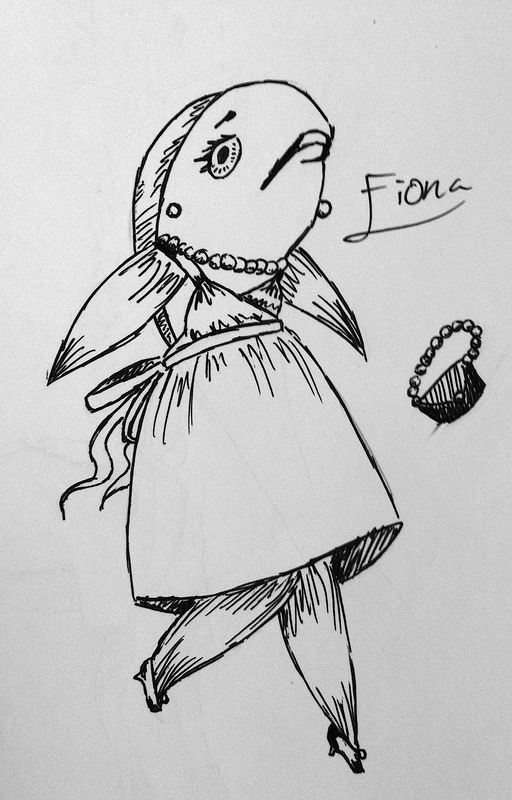 As you see, Fiona is proud to model a silk fin length gown. She loves pearls so we went with pearl gillrings, necklace, and purse. Yes, I know that fish aren’t hairy mammals- Fiona is wearing fake lashes to finish the look. We chose to take a bit of cosmetics work into Gerald Jefferey’s outfit, and curled his “hair” and tail. He is also wearing a stiff bow tie and suspenders, with his timeless white shirt and khaki shorts. As a side note, Gerald Jefferey is a diva. 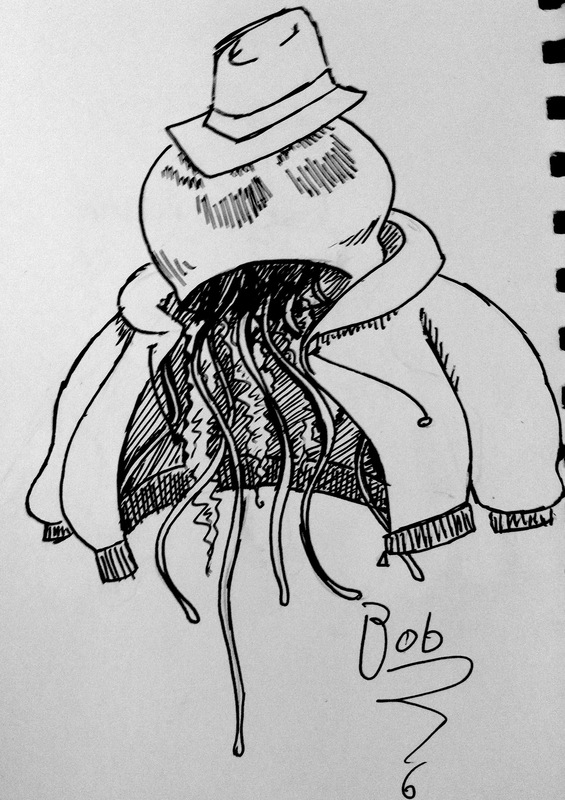 In this drawing, Bob the jellyfish is sporting a fedora and zip-up hoodie. He has a tremendous sense of style, for a jellyfish, and convinced us to go simple. 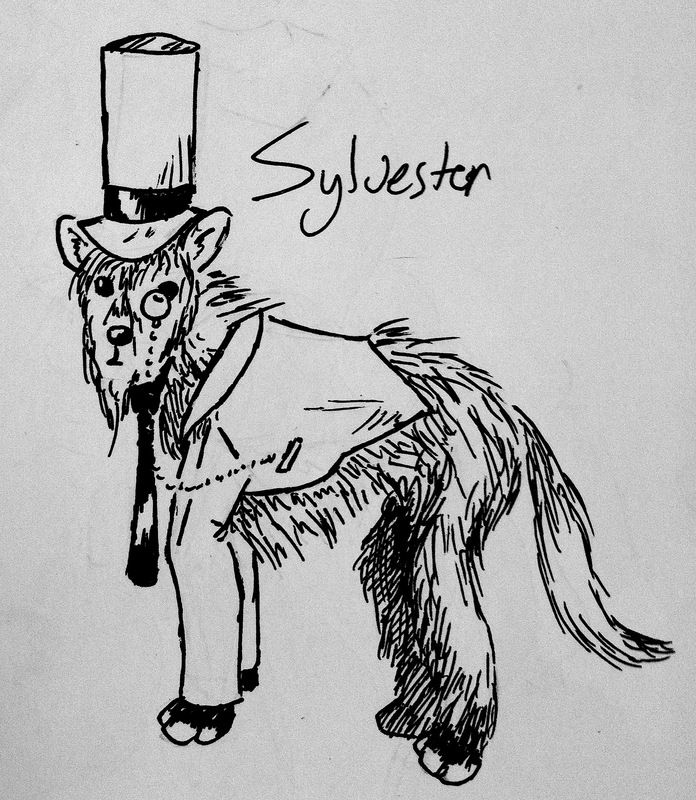 Sylvester is now scolding me for not knowing the proper way to draw a wolf. As you can imagine, he is quite offended. Sylvester is wearing a white top hat and jacket with a black tie. He insisted that he’d get the monocle. 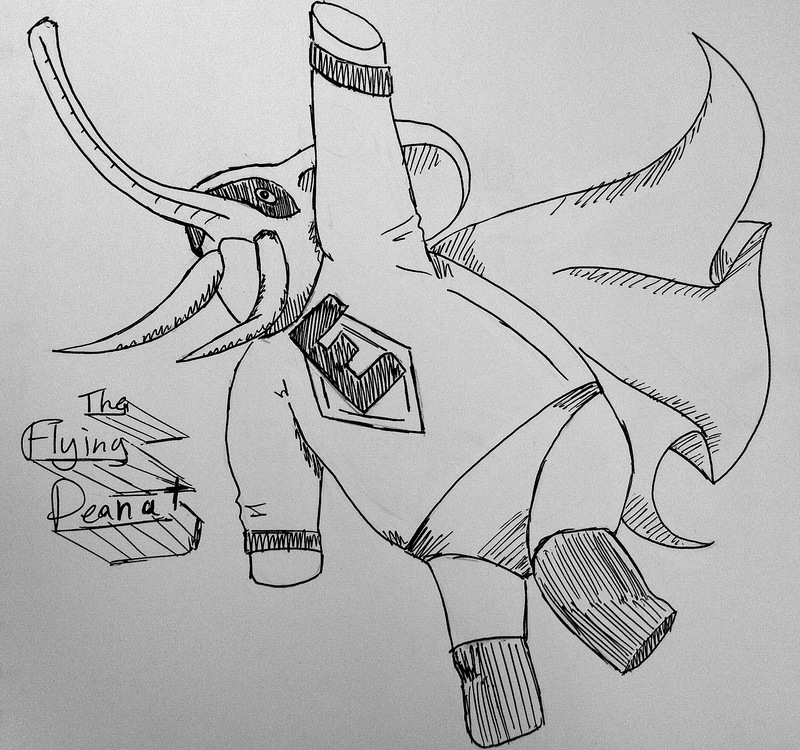 This is the Flying Peanut. I don’t know why he has an ‘E’ on his uniform. Maybe it’s a reference to his secret identity. This entry was posted in Art and tagged animals, antique pocket watch, clothing, diva, fashion, Pen, pencil, style. Bookmark the permalink. So now you see why Gerald Jefferey had to put on the bow tie, hm? I can’t decide which I like more. Both the jellyfish and elephant are awesome. 😀 If I ever wrote a picture book I’d ask you to do the illustrations. Thanks, Nevillegirl! 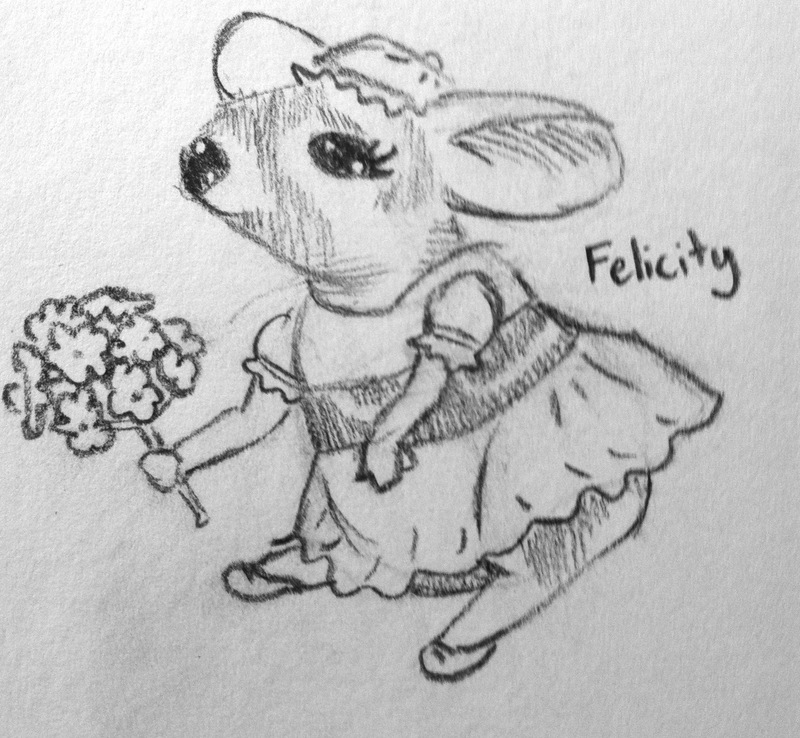 I love fashion and Beatrix Potter, and needed to work on drawing animals, so this was the obvious way to go. I’m glad you liked Bob and the Flying Peanut. My favorite would probably be Gerald Jefferey (the Giraffe).